That's a super valentine for Nick! I just love to see what you are up to...love your valentine! 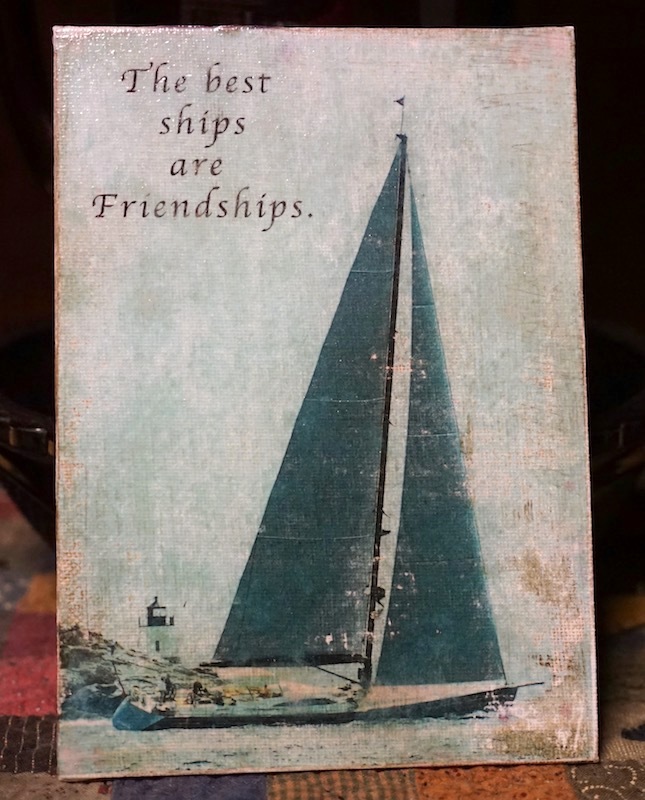 The boat print is haunting with the misty effect. It touches my heart when I recall sailing in those waters. Nick is one lucky grandson. Give him a big Valentine hug. 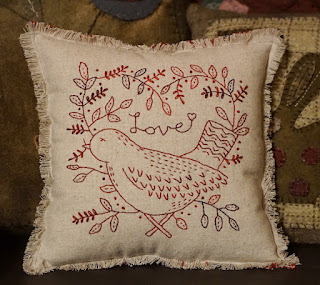 Love all your projects Debbie! Love them both! 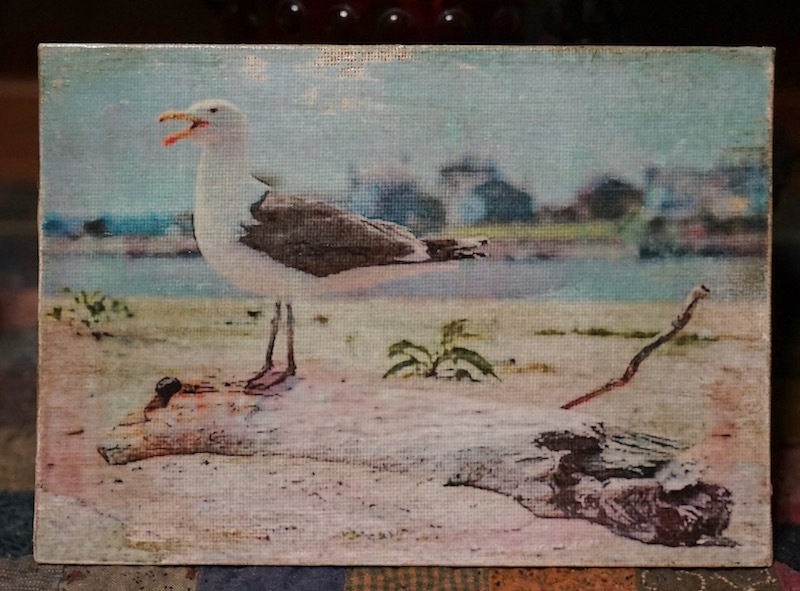 I purchased wool shallow boxes (basically the same size as a small picture frame without the glass) from the Dollar Store, I then antiques the wood before transferring the print. It turned out great! Looks better where the photo did not transfer well(I'm also using the wrong printer) then I antiqued it again...now it looks like an old painted wood painting! Amazing the things we can create with technology! You have worked on lots of great projects this week! Love the stitchery and the owl! The sailboat picture looks professional to me. Like something I would purchase in a store. You take such nice pictures. 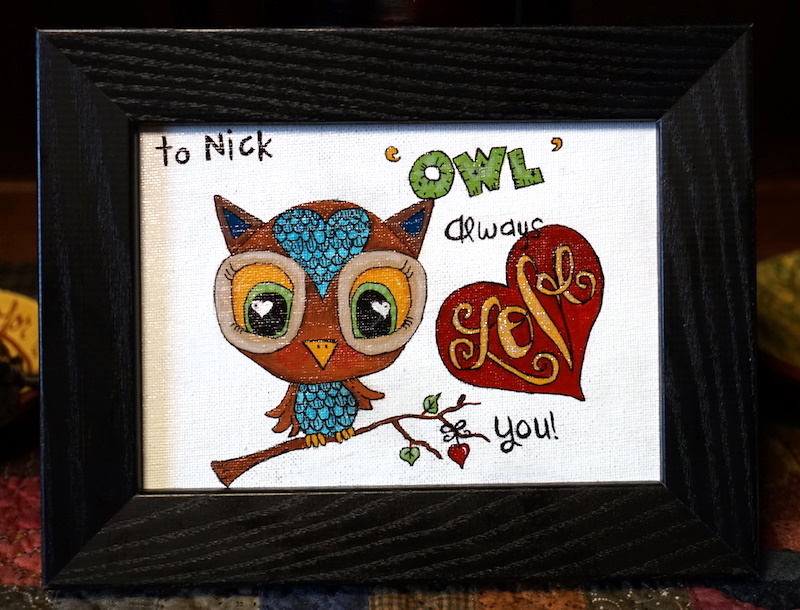 Adorable Valentine, and how wonderful Nick wants to paint with you. I love your photo transfer projects. They look very professional.